Schon wieder ein Kleid? Jawohl! Und ab jetzt mache ich nur noch Kleider! Dieses Mal... I'm goin' Vintage! Ich habe das Burda Schnittmuster 2/2017 #114 verwendet. Stoff? Eine Decke (160x200 cm) aus dem Roten Kreuz Lädeli für 5 CHF. A dress? Again? YES! 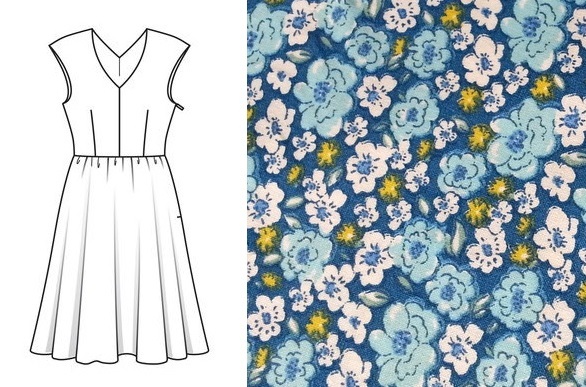 And since now i am gonna make only dresses! Is there something more feminine like dresses? This time... i'm going Vintage! I have used a Burda Pattern 2/2017 #114. Fabric? Bedsheet! Yes! 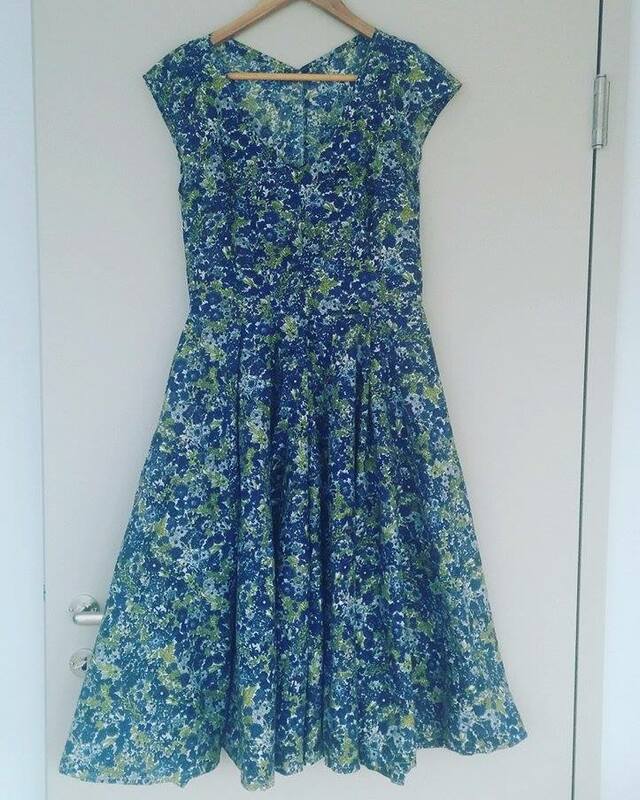 For this dress I needed over 4 meters fabric! I am still a beginner and I must say I had some concerns to use/destroy a pretty material, so I bought a bedsheet in a red cross shop for 5 CHF - quite huge one (160/200cm). 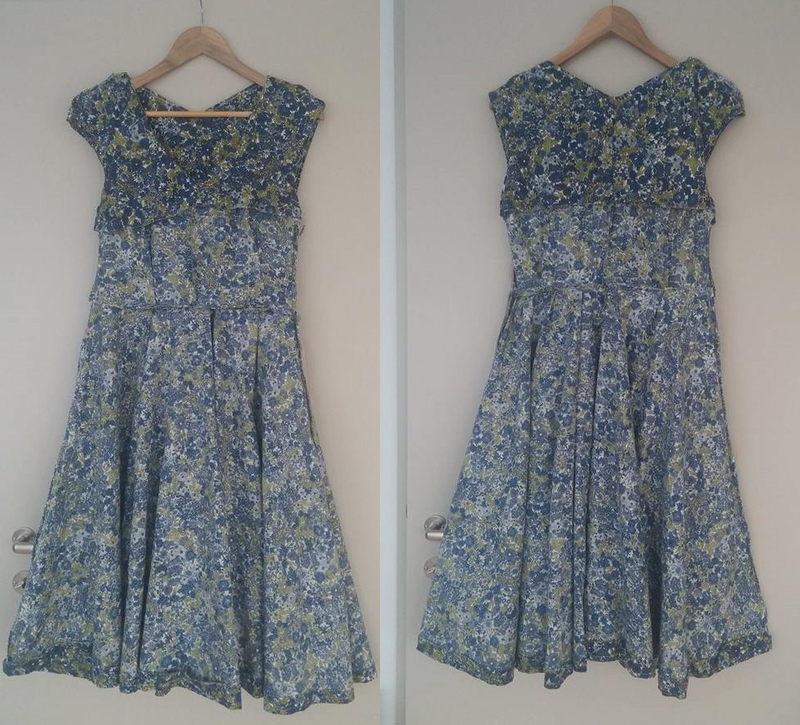 Da es ein sommerlichen Kleid ist, habe ich das Futter nur bis zur Brustlinie angenäht. Einen Reissverschluss habe ich unter einem dünnen Stück Stoff versteckt. 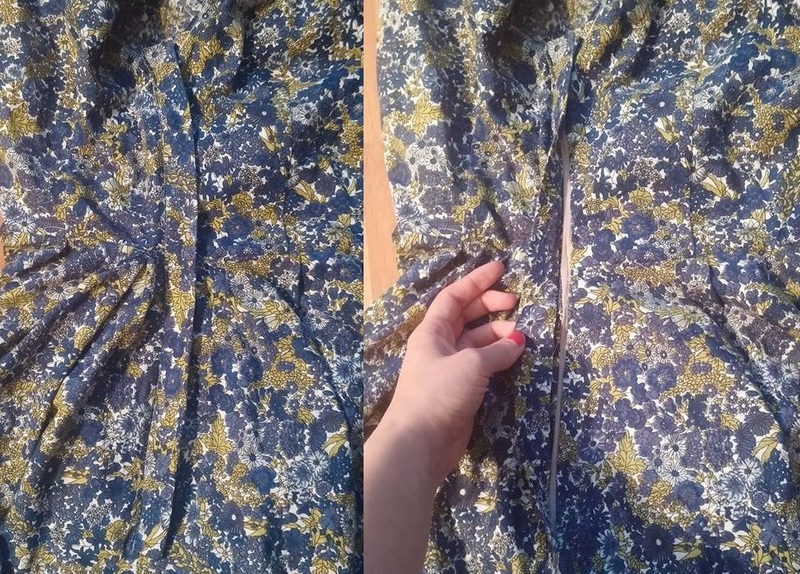 I have hidden the zipper under a strip of a fabric. Fertig! Jetzt nur noch passende Schuhe aussuchen! So, here it is, now i just need to find some "Vintage shoes"! Since I move out from my parents house in 2012, I have been convicted about my clothes-buying habits and the impact they have on the lives of those in the manufacturing process. It took me a while to break up with my buying addiction. I give up some of the bad habbits, like scrooling Zalando while drinking coffee and going shopping at the sales-time. In February 2017 I started making clothes on my own, what gave me a huge knowledge of fabrics and their properties and a new passion for life.